Hi, My name is Sherry Eidt. Thank you for visiting my page. 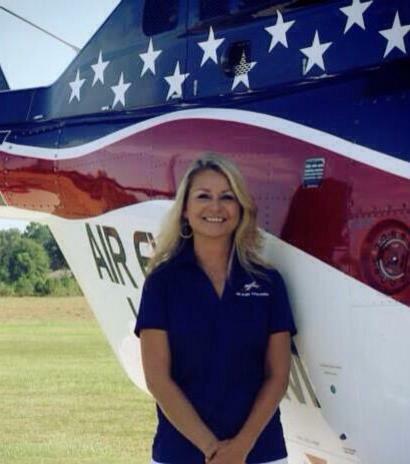 As a Membership Sales Manager for Air Evac Lifeteam / AirMedCare Network for the past 6 years, I know first hand the value that this membership brings! My goal is to educate the community on the importance of protecting your family from the unexpected cost of an emergency flight. Join America’s Largest Air Medical Membership Program with more than 3 million members covered in more than 320 locations across the United States. For more information about Air Evac Lifeteam / AirMedcare Network membership, please contact me. You never know when a medical emergency will arise. But when it does, time and access to world-class patient care can mean everything. That’s why an AirMedCare Network membership is so important. If you or your family have a medical emergency, our alliance of affiliated air ambulance helicopters and airplanes provide medical transport, dramatically reducing travel time to an emergency treatment facility. Becoming an AirMedCare Network member is a good way to support the health care needs of you, your family and your local community. Our membership base – the largest of its kind in the United States – helps us operate in areas where having a quick response to critical medical situations can save lives.